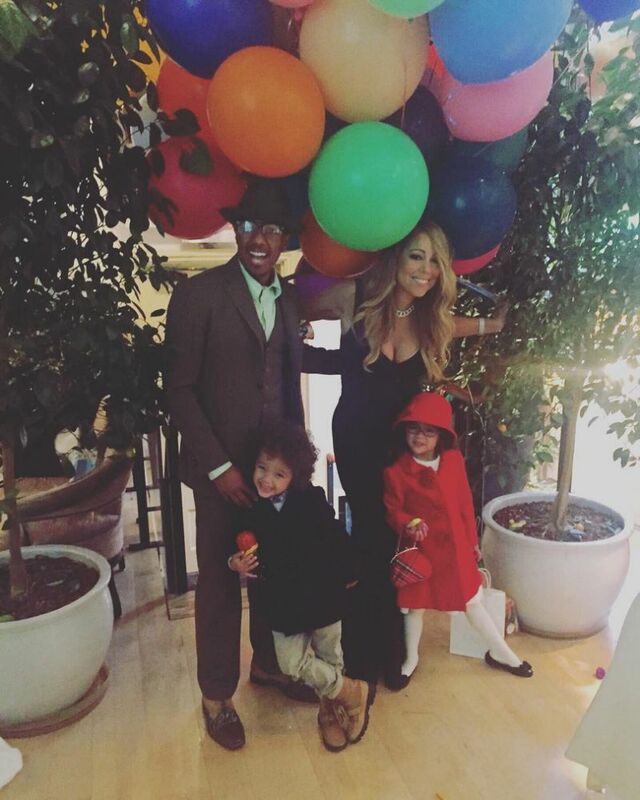 Mariah Carey, 45-year-old spent Thanksgiving with her ex-husband, Nick Cannon, and their 4-year-old twins, Moroccan and Monroe. The former couple both took to Instagram to share some snaps from their low-key holiday together. Earlier in the day, Carey kicked off the 89th Annual Macy's Thanksgiving Day Parade in New York City. Donning a vibrant red gown, white wrap jacket, satin gloves and a diamond statement necklace, she dazzled while performing her classic holiday hit, "All I Want For Christmas Is You," atop a float. Carey, who is now dating Australian billionaire James Parker, announced her split from Cannon in August 2014 after six years of marriage. Despite the breakup, the two have remained close for their children. Carey opted for a more colorful snap, showing her cute crew smiling and posing by bright balloons. The New York native also shared a cute photo of herself with Monroe at a table, captioning it, "#Thanksgiving moments, #givethanks."